If you’re currently looking for an experienced and dependable air conditioning repair company in Burbank, California look no further. At American Cool & Heat we strive to provide our clients with the most professional air conditioning repair services by taking the time to listen to each individual customers specific needs. Here, on our blog, we aim to provide our customers and anyone else in the Greater Los Angeles area with the information about how to keep your air conditioning system running as efficiently as possible. Let’s go over a couple of things to keep in mind if it’s recently come to your attention that your air conditioning unit isn’t running as optimally as you’d like. Air conditioning repair is, at certain times of the year, a necessity in particular parts of the United States. Los Angeles is one of those places. Similar to furnaces that go rouge in the countries colder climates, the air conditioning repair industry becomes a highly sought after service during Southern California’s hot summers. An air conditioning unite that is malfunctioning can not only make the space in which you live seriously uncomfortable, but can also end up costing you that extra spending money that you couldn’t wait to use. Like any large appliance, there are a number of different issues that could have contributed to your air conditioning unit’s malfunction. 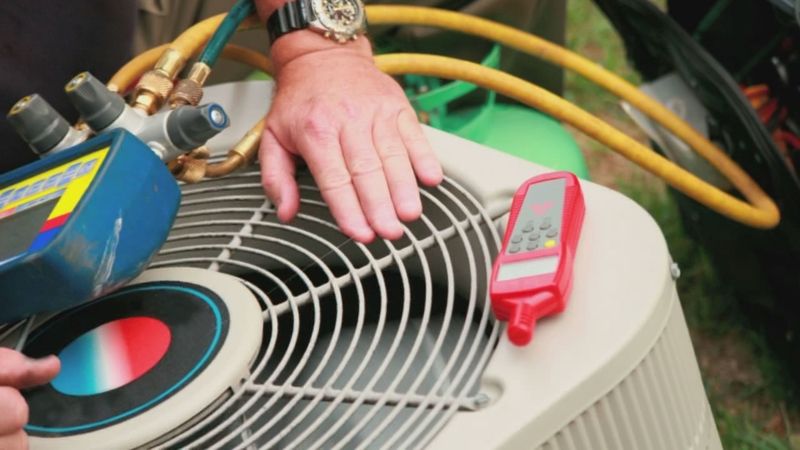 Though some of the issues that may have caused to stop your air conditioning unit from working property are quick fixes that don’t require a licensed AC repair company’s assistance. However, though hiring a licensed AC repair company might not be the first step that you desire to take in fixing your AC unit, at a certain point, it’s probably necessary. If you’ve come to the conclusion that the problem with your air conditioning unit is beyond your means of repair, you’re going to want to have a specialist come in to check for electrical problems and regulate Freon levels. Over-reaching on your handyman skills can lead to bigger problems, larger headaches and higher repair costs than you would have been paying originally. If you have questions regarding the services provided by American Cool & Heat or would simply like to contact us in order to schedule a complementary consultation appointment, don’t hesitate, and contact us today! We look forward to making sure that your home stays cool all summer long. Call us at 818.999.4190.